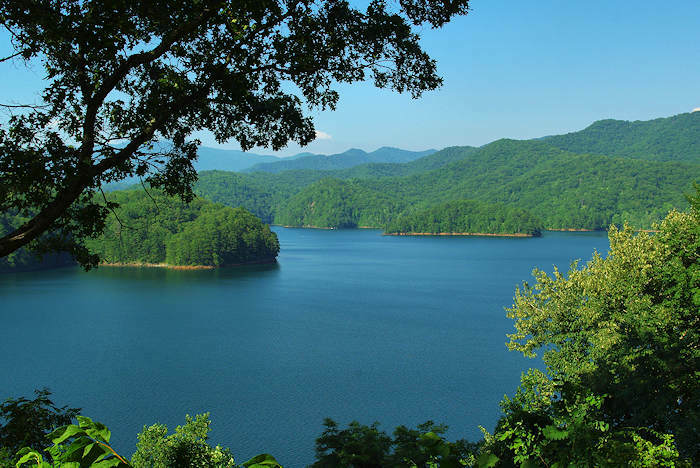 This gorgeous setting in the Nantahala National Forest is a short walk from the highway near Robbinsville and Lake Santeetlah. 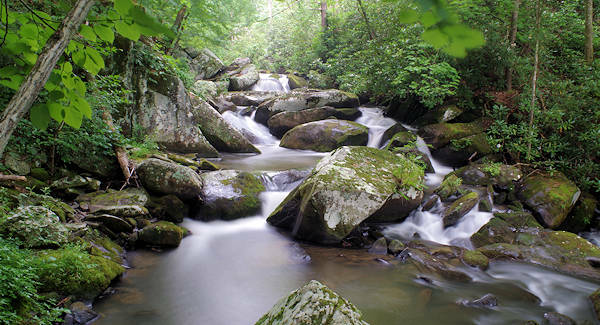 Reach Yellow Creek Falls via a beautiful short hike through the dense forest and by the cascading creek is about a third of a mile one way. The trail is easy to follow, but there are some uphill sections and roots to navigate. It's also a great swimming hole for all ages in the summer in the chilly, pristine mountain water. From Robbinsville, drive about 10 miles on US Highway 129 North and look for the parking area on the right. There's room for six or so cars and a sign that you will see AFTER you park. Along the first part of the hike, there are side trails to the right that gives you a closer look at some of the cascades - some great picnic and book reading spots. 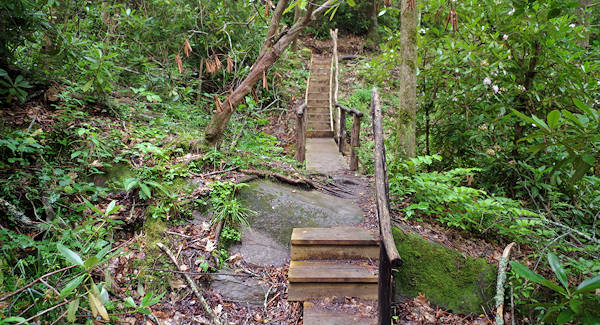 You'll cross a couple of bridges and climb over a ridge to reach Yellow Creek Falls. 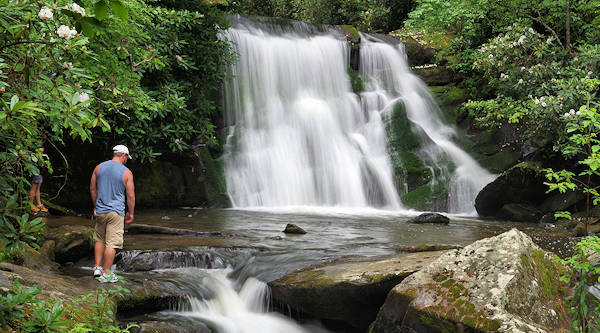 At the falls, there's a nice boulder for a distant view and a trail that takes you to the 50-foot waterfall that plunges into a serene pool that is safe for wading. 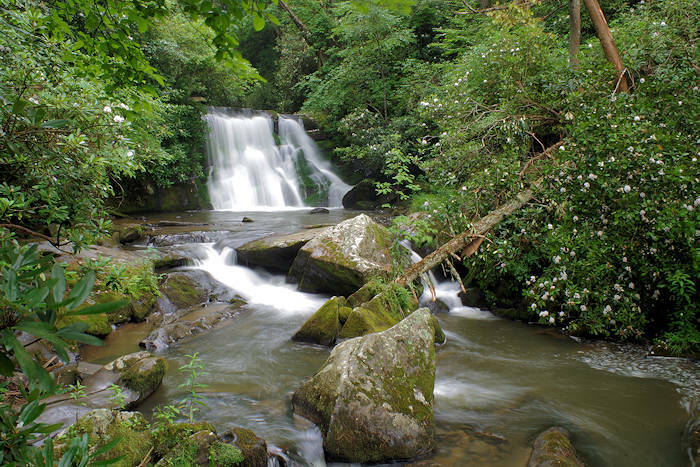 Just be careful on any wet rocks and don't try to climb to the top of the falls. 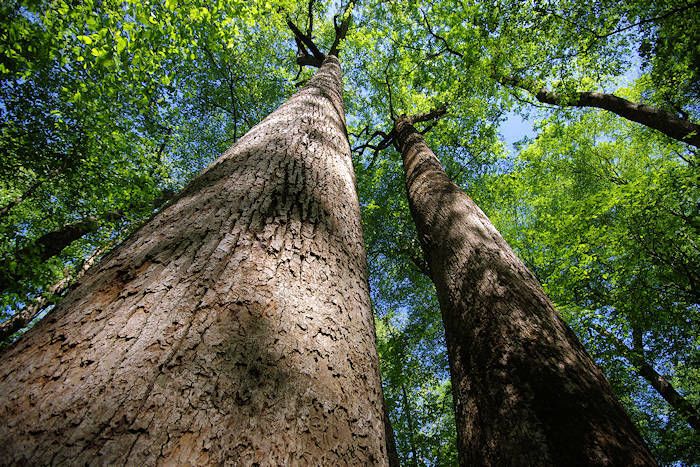 Located in Graham County, it's about 100 miles west of Asheville. 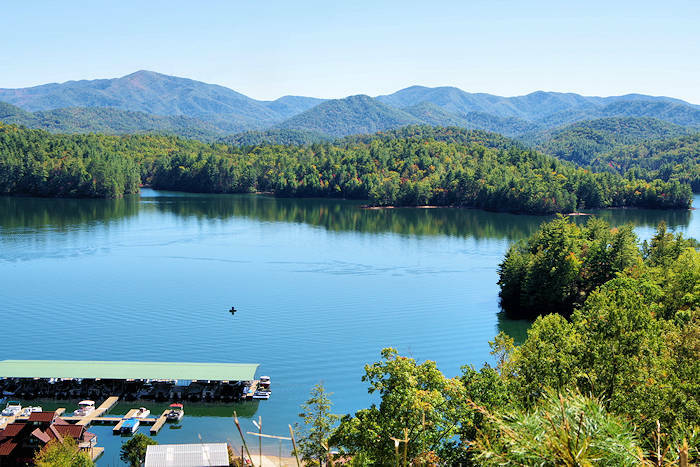 It's 19 miles from Fontana Dam and just five miles from Cheoah Point beach at Lake Santeetlah. See the Google Map below. Cell reception is very poor in this area, so don't rely on your phone GPS. The parking area is on US Highway 129, 2.3 miles north of Yellow Creek Road and 4 miles south of the river crossing at Cheoah Dam.